I’m currently sat on a bus heading to the airport after 17 days on the Norway Arctic Expedition. Jo is sat next to me looking glassy-eyed with a huge grin on her face. Seanna sits behind me inspecting her frostbitten hands. Aimee and Trish are looking through photos and reliving a poo story…a firm favourite topic on our trip. We are 5 women that started this trip as strangers. We have been together almost 24/7 over the last 2 weeks taking on some of the toughest challenges we have ever faced and experiencing something so alien and brutal that no one will ever ‘get it’ except us. There has been tears, self-doubt and frustrations. A relentless battling of the elements. Facing up to fears and, perhaps the hardest of all to swallow – failure. On paper, it looks like a disaster. Yet here we sit. Thoughtful, content and anything but strangers. Sure, I am disappointed that we didn’t achieve our goal but I can’t be anything but happy because there wasn’t anything I would change. It was perfect. 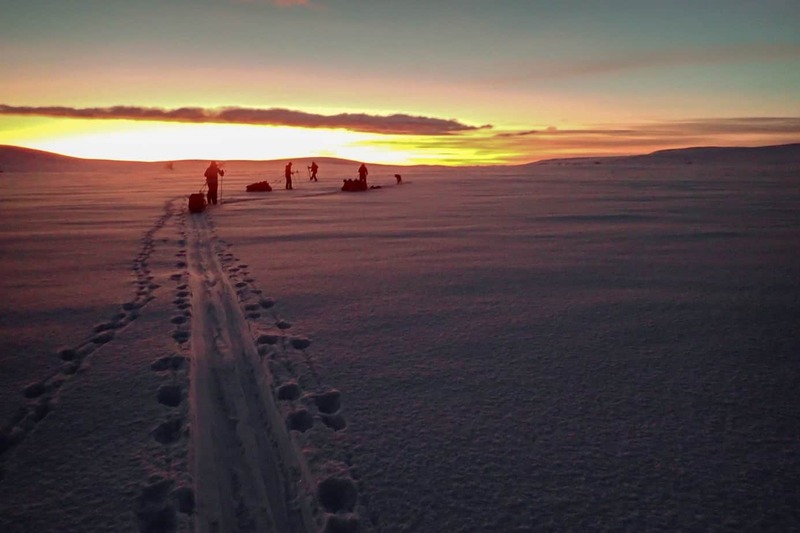 This was our Norway Arctic Expedition. 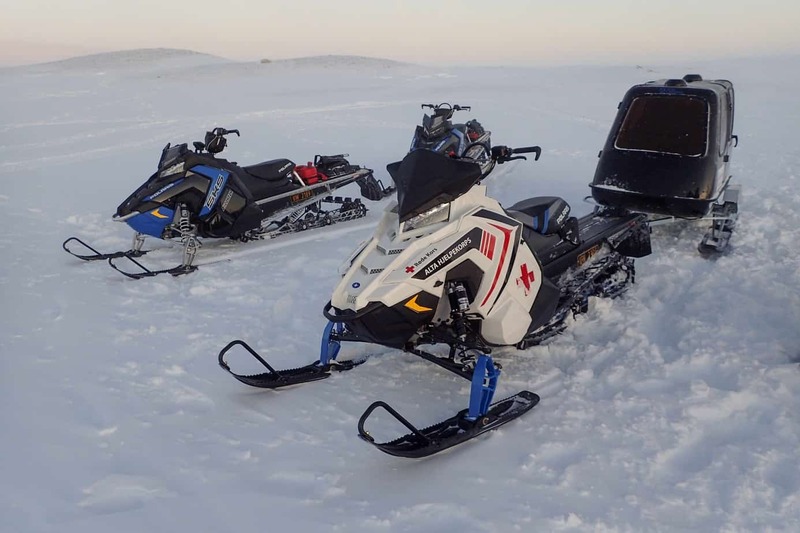 Our goal was to cross the Finnmark Plateau in Norway from North to South, a distance of about 160-180km. 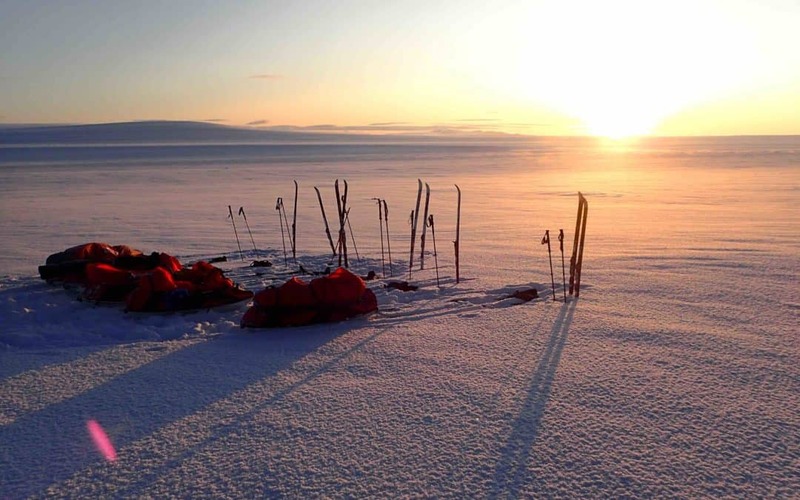 We would be pulling pulks (sledges) attached by harnesses that carried all our food supplies and camping gear for the 2-week crossing and moving on skis. We knew we had signed up for a real challenge. None of us had ever cross-country skied before, 3 of us had never skied at all. Or been in -30 for that matter. Then there was the fact it was January. 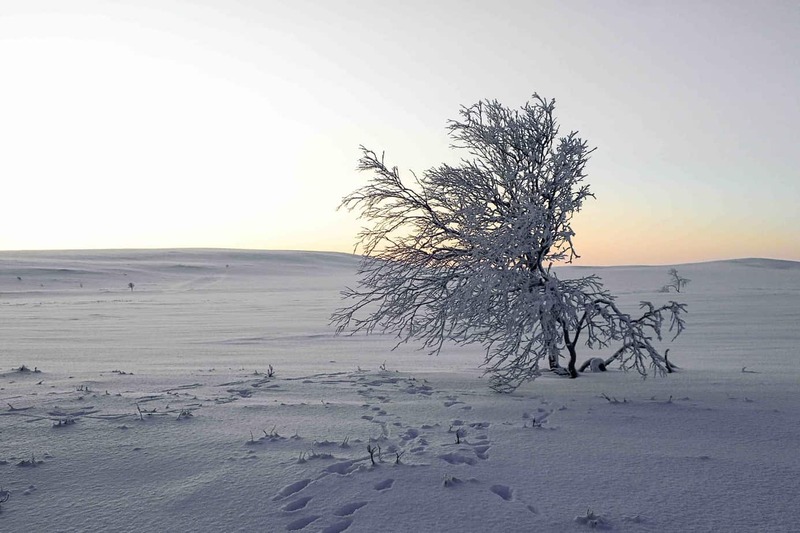 Most polar or arctic expeditions take place in April and May when the weather is much more ‘pleasant’. Being the heart of the winter we really would be facing the elements. Unpredictable weather and extremely short days with just 6 hours of light. 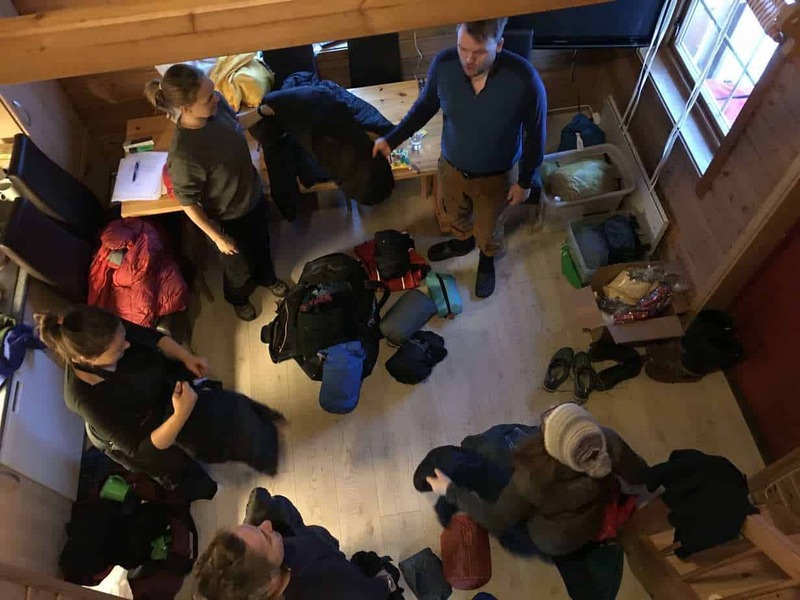 Before heading out we had a preparation day when our experience guide, Kasper (along with the help of our husky dog Sno), went through the plan, showed us how to use the equipment and checked our gear. We’d spent hours agonising over what gear we’d need (who knew there were so many different types of winter expedition socks!) and were happy that we’d made good choices. The morning we were due to head out, I woke with a knot in my stomach. I’d never felt this nervous before a trip. I was worried that I wouldn’t like the skiing, that I wouldn’t be fit enough to pull the pulk but most of all I was petrified of the cold. And for good reason. 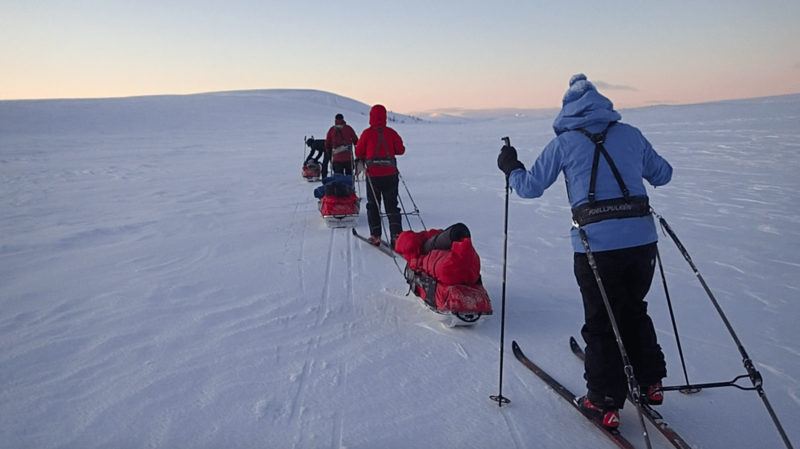 When we stepped out of the van at our start point it was -27 degrees with a mild headwind. A suffocating cold that cut through my multiple layers in seconds. Could I really camp out in this? We strapped on our skis and harness for the first time and set off. The pulk was heavy to pull. I imagined it gliding a lot smoother but it wasn’t the case. What really bothered me though was the skiing. It seems simple sliding one foot in front of the other but the Finnmark, especially those first 2 days, was not flat. I really struggled in the beginning to find my balance. I would slide back on the ups, not able to get my technique right and with the weight of the pulk pulling me back. Going down was worse. The pulk would push you forward in a jerky motion. I just couldn’t get my balance and was constantly falling over. 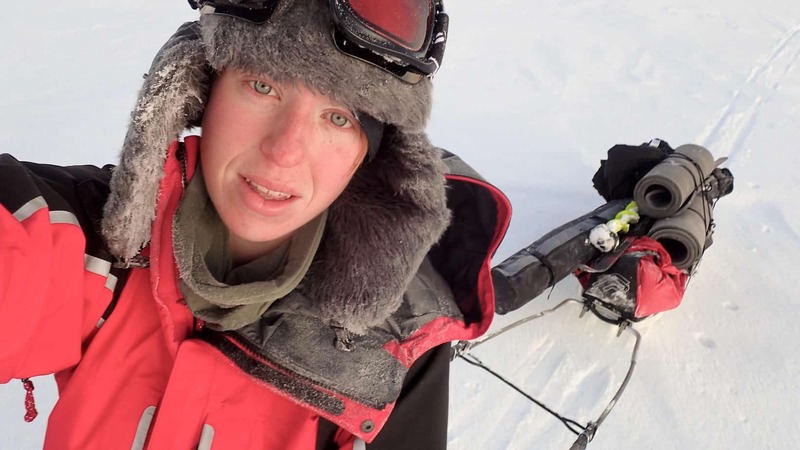 I got frustrated and angry, mostly with myself for being so afraid of the pulk and the skis. Then there was the camping. We’d walk until the light was almost gone meaning camp set up was mostly in the dark. We had 3 tents, 2 in each. They were spacious so we had room for our stuff inside and a large porch. But getting them up was a faff. We’d put them up, bury the sides in with snow to block the wind. We’d then dig a large hole in the porch area to make it easier to get in and out. A toilet would need to be dug out somewhere near camp. Then we’d empty our pulks, blow up our mattresses and get out the sleeping bags. Change into dry clothes. Help fetch water which usually meant drilling a hole in a lake and freezing your hand off to collect it. 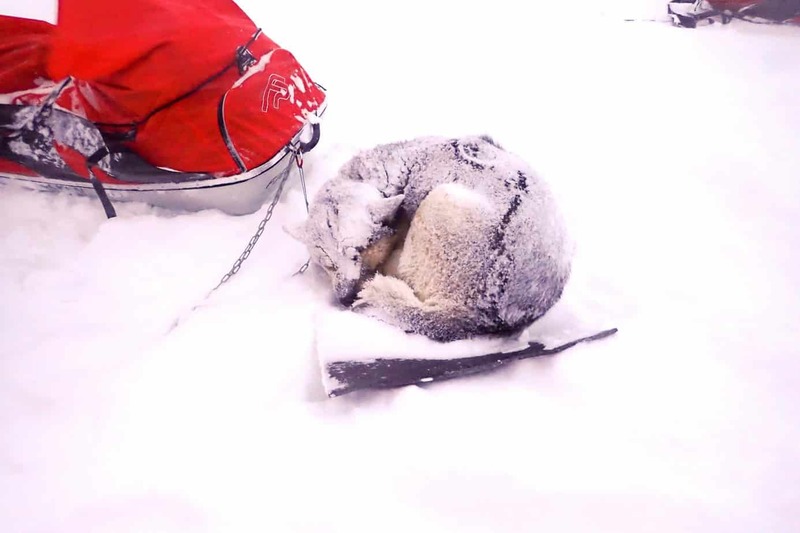 Kasper would get the water boiling for dinner and would spoil us in the evenings with a hot water bottle. In the morning, we’d do it all in reverse. I found the cold exhausting. My body was always fighting to stay warm and I don’t think there was a single moment on the entire trip when I was properly warm and comfortable. When it hit my hands, my ears, my toes it presented physical stabbing pain. The cold makes everything difficult. Constantly layering a delayering, balancing staying warm and not sweating (which is bad because your sweat then freezes and makes you cold). If I wanted to brush my teeth or eat a snack, I’d have to plan it in advance so I had time to defrost them next to my body heat. 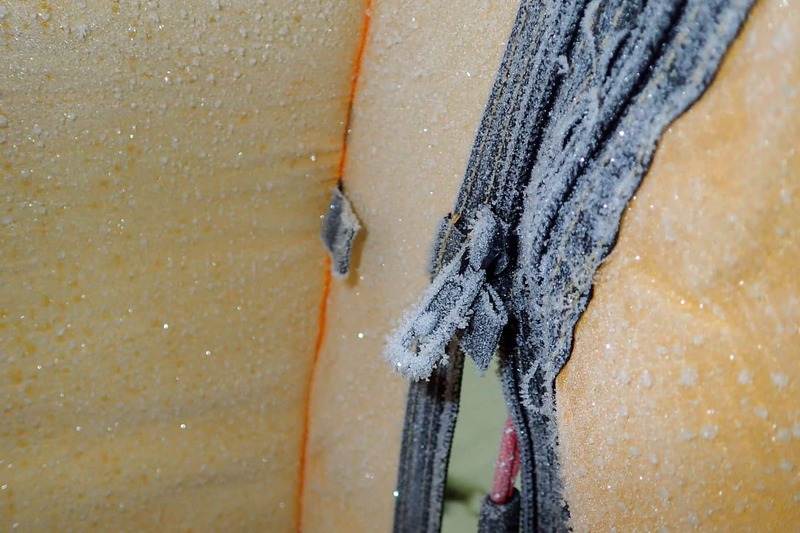 The condensation in your breath freezes on your jackets, the rim of your sleeping bag and worse of all the inside of the tent so you have to constantly brush it all down and remove it so it doesn’t defrost overnight in the warmth of the tent and turn to liquid. And don’t get me started on needing a wee in the night and the huge mental stamina it took to get out of the sleeping bag and layered up! I hated those first few days but then I started to have incredible moments when it all seemed worth it. I got more comfortable on my skis and with the pulk and even managed to start making it downhill without falling over (woohoo!). The camping became a routine and each task less daunting. I fell into the slower pace of life and my patience grew. I got comfortable with being uncomfortable. And knowing I could warm myself up with movement took the edge off the fear of being cold. The best bits were the views. And the sun, or rather the lack of it! 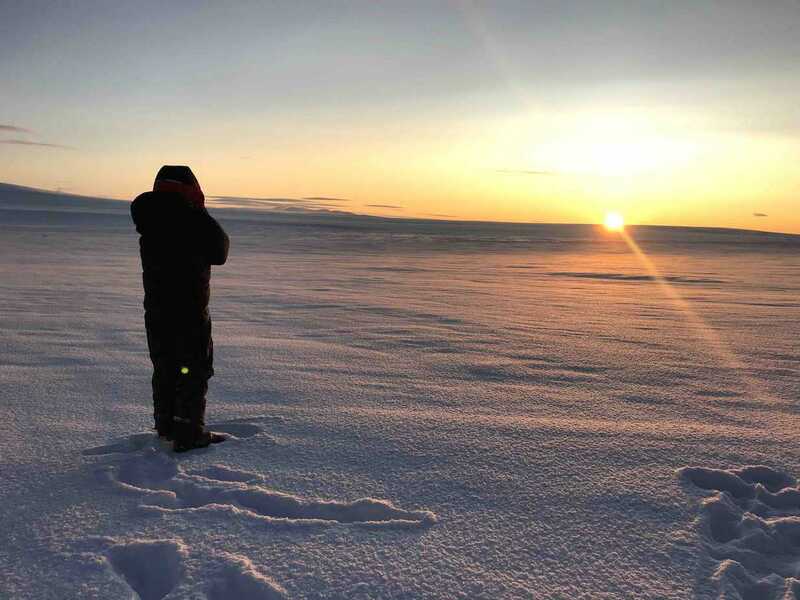 The sun rose from the horizon for the first time only on day 3 of our expedition and it was beautiful. The pastel colours that sat on the horizon were like nothing I’ve ever seen before. The stars were different – somehow crisper and clearer. And, of course, those beautiful northern lights! We’d had a very slow first few days and had taken a rest day to rejuvenate and re-organise. But one week in Jo started to have back problems and vertigo and couldn’t carry on. 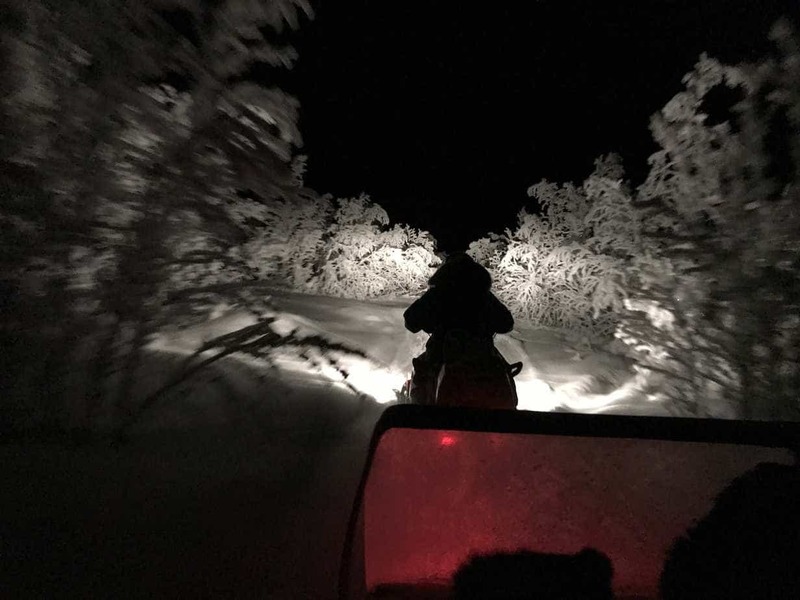 The plan was to walk her out to the nearest road (a long days walk away) but the Norwegian Police didn’t want her to risk it, especially with the weather being so extreme, so they sent in the Red Cross on snowmobiles! With our slow start and a second unplanned rest day, I knew at this point that our crossing was out the window. We had only come 50km. The group was positive though and looking forward to cracking on the next day and going as far as we could. The weather had other plans though! The winds had started to pick up but when we woke up on day 8 it was on a different level. 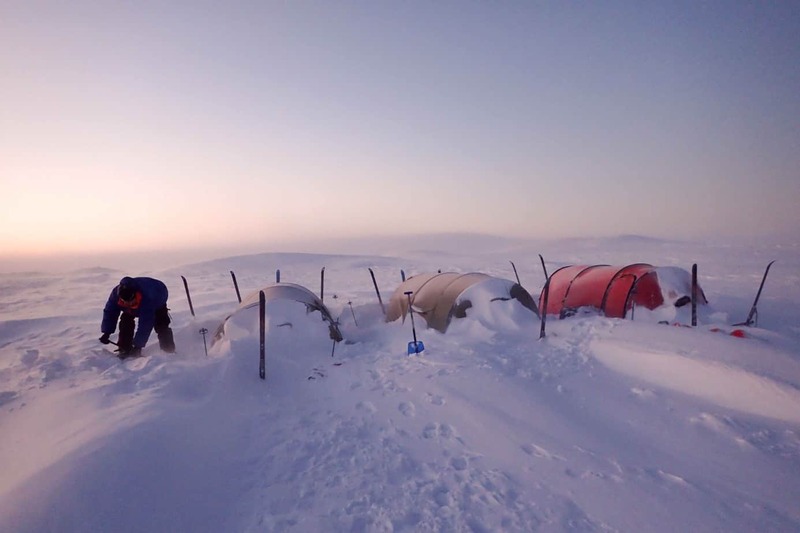 2 nights in one place with all that snow drift meant our tents were seriously snowed in. 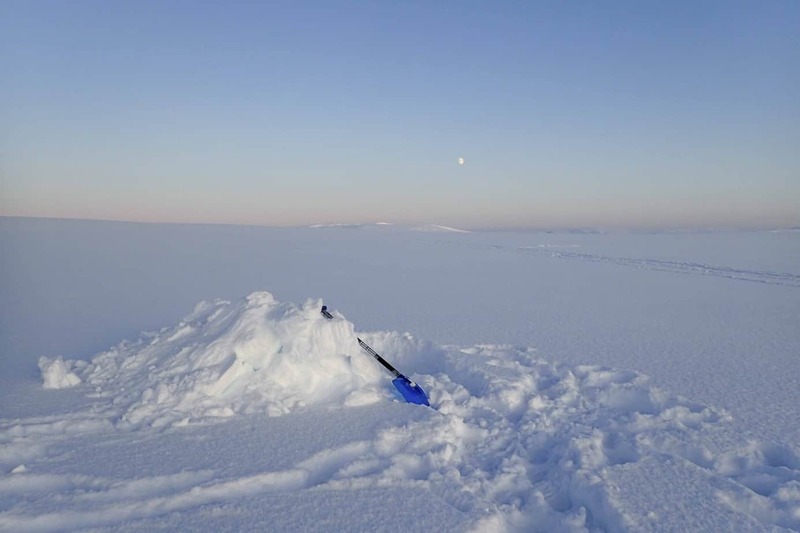 It took over 2 hours for us to dig them and our pulks out…all with a cutting wind hammering us in the face. My arms and shoulders were screaming by the end and I really lost the last of my positivity when I stupidly put a hole in the tent with the spade (so annoyed with myself!!!). We set off in a line as we always do, straight into the wind. Every inch of my face was covered (to protect you from frostbite) making it hard to breathe. 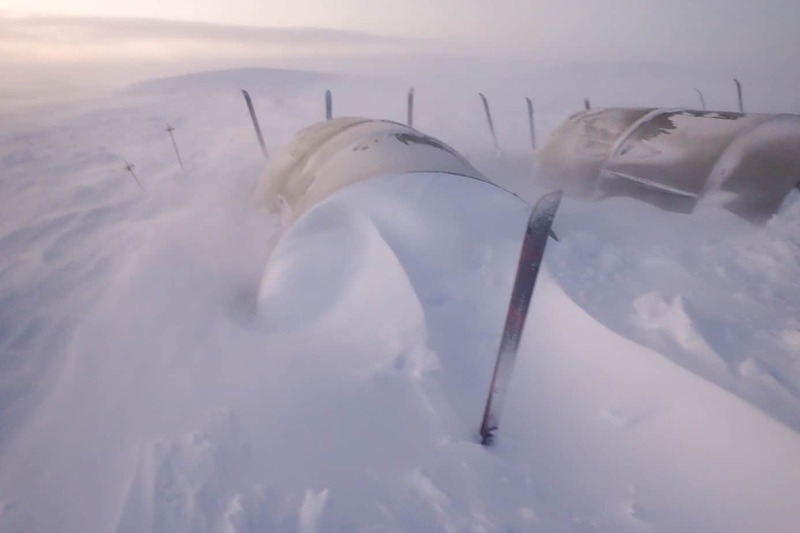 I couldn’t hear anything through the wind and it was so strong that it was like pushing against a wall of snow. Every so often it would completely throw me off balance and I’d have to fight to stay upright. The wind drained every ounce of my energy and made it impossible to stop, we had to keep moving. I was stuck in my own head, with no energy left, desperately trying to fight my emotions. Negativity won. I wasn’t the only one struggling on what we have now named ‘Windy Wednesday’. It was brutal!! We eventually stopped and put up a tent and all hid inside from the wind looking shell-shocked. Despite hours of fighting and using everything we had, we’d barely made it a few km’s. 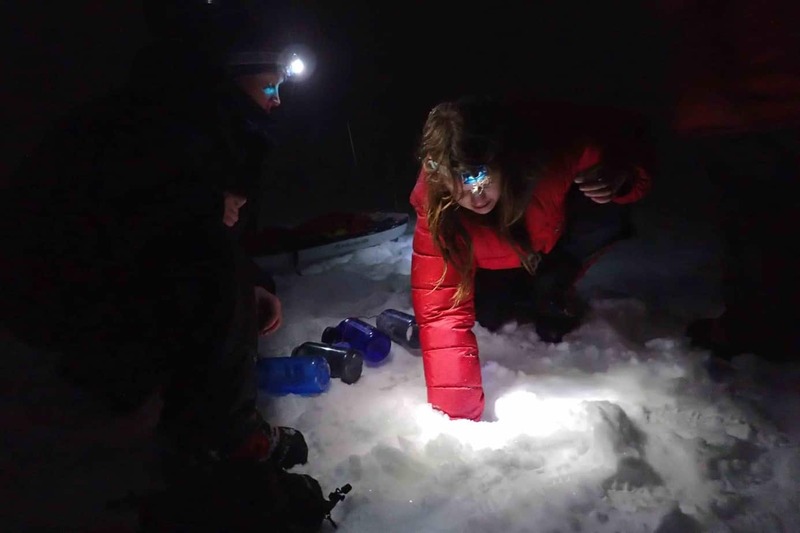 Kasper reported that this was the last get out before reaching a really remote section of the Plateau and as Seanna had developed bad frostbite in her hands and needed to see a doctor, there was no other option. The next day we skied the 10km to a road where we were picked up and taken back to civilisation. I had real mixed feelings. I was gutted, really gutted. And I knew I could have gone on for those last 4 days. It felt less about the distance or the crossing for me, but getting to the end of the time we had set out to be in the Finnmark. On the other hand, I was so happy to be out….warmth again!!! I was exhausted mentally and physically. I’d pulled muscles in both my arms. I had struggled with every aspect of the expedition and my mind was happy to be out. There was also part of me that felt like I hadn’t failed. 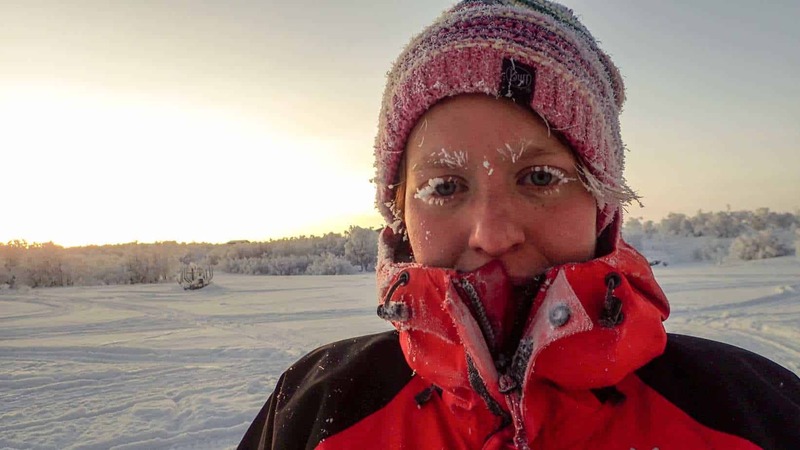 I’d survived 9 days camping in temperatures as low as -32, witnessed the northern lights, seen a part of the world that so few set eyes on and challenged myself to my absolute limit. Jo had been to the hospital who gave her the all clear and was able to rejoin us. Seanna had 3rd degree frostbit on her hands but was otherwise ok. With our remaining days, we headed to a serviced mountain hut on a snowmobile/sleigh combo (seriously fun!). 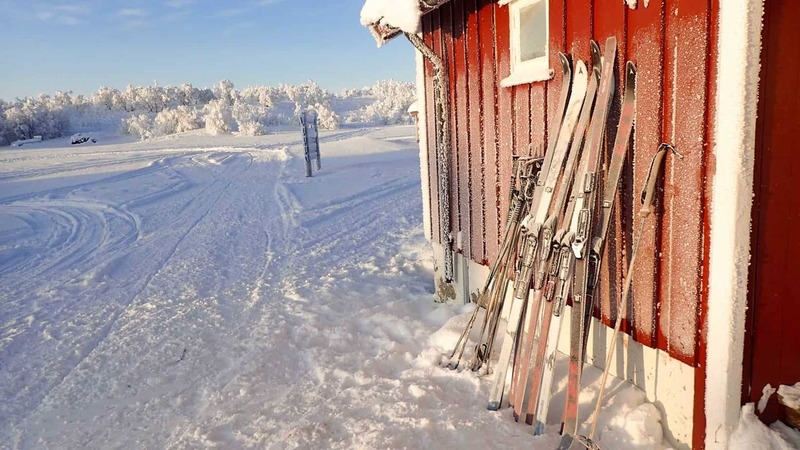 While Jo and Seanna stayed behind recovering, we headed out on our skis for day trips. It was beautiful and so nice to experience our surroundings in a more relaxed setting knowing we had warmth and the team to head back to each evening. 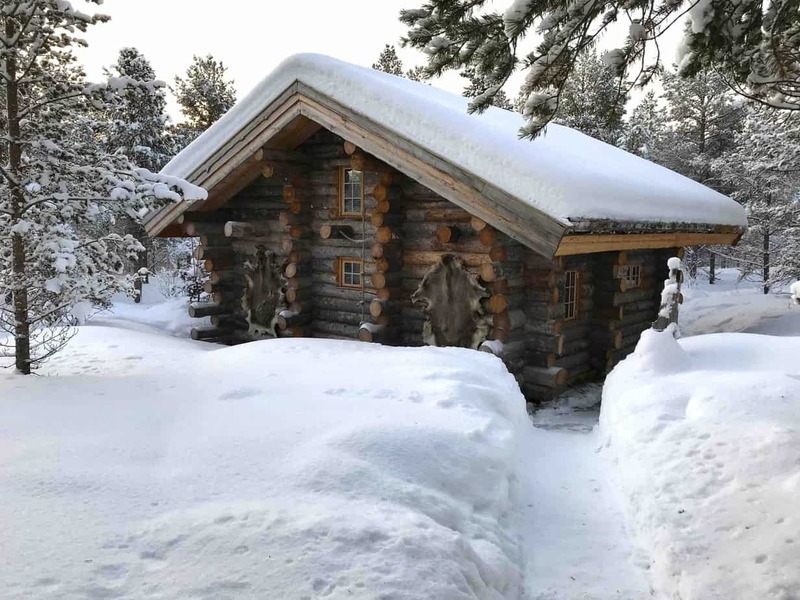 Our last day was spent in complete luxury in a log cabin in Karasjok. We visited the town and the Sami parliament and met a reindeer herder. It wasn’t how it was meant to be but it was great. I loved Norway and if we’d completed the expedition I would have missed seeing the culture and the way of life for the people here. It also gave me a huge amount of thinking space to get my head around the experience which made all the difference. I took away so much which I put in a blog 5 ways the Arctic changed me. Would I do an Arctic expedition again? 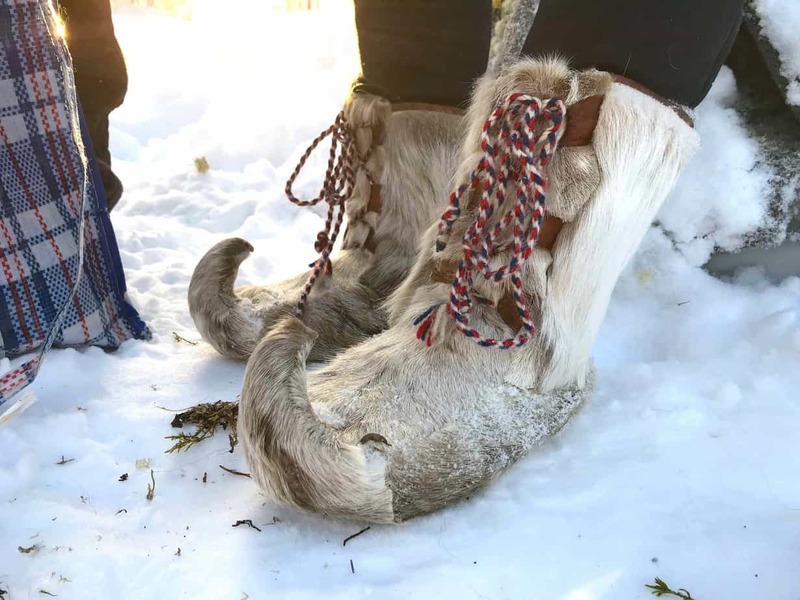 I said over and over again while out in the Finnmark that I would NEVER do it again. The cold is not for me. I do not thrive in this environment. But those views, the challenge, that feeling of failing and having unfinished business…..
Hmmmmm…..I’m leaving this one open! Fancy giving this trip a go? 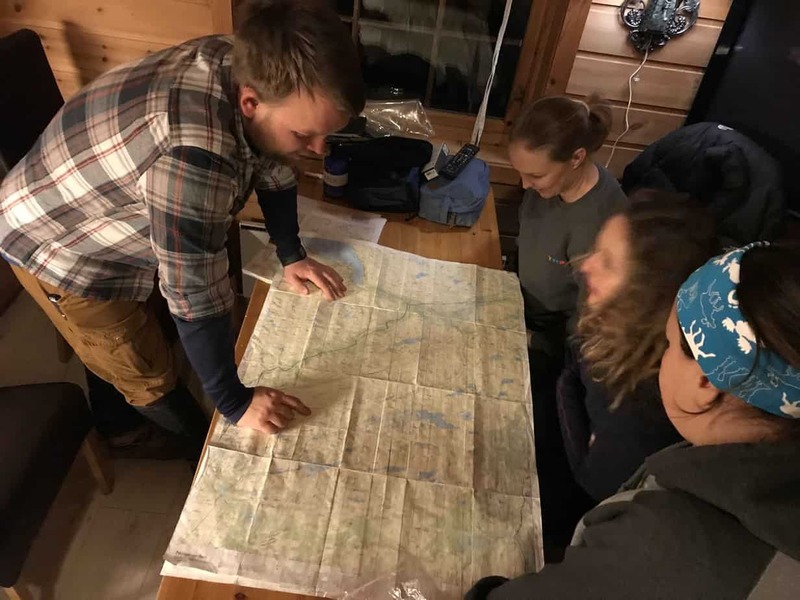 This was an expedition put together via the Love Her Wild community! 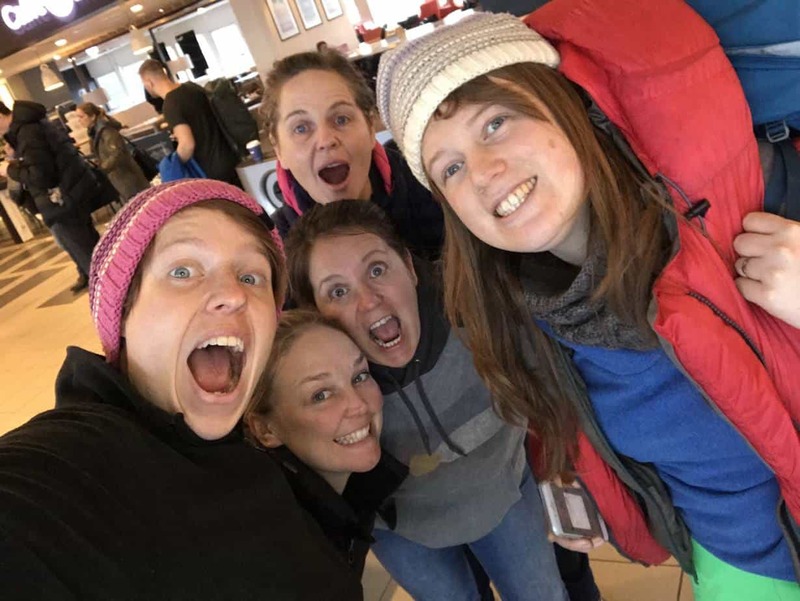 You can check out what other trips we have going coming up on our adventures page and can join our all-female Facebook group here. This trip was delivered by the expedition company Turgleder who are brilliant. 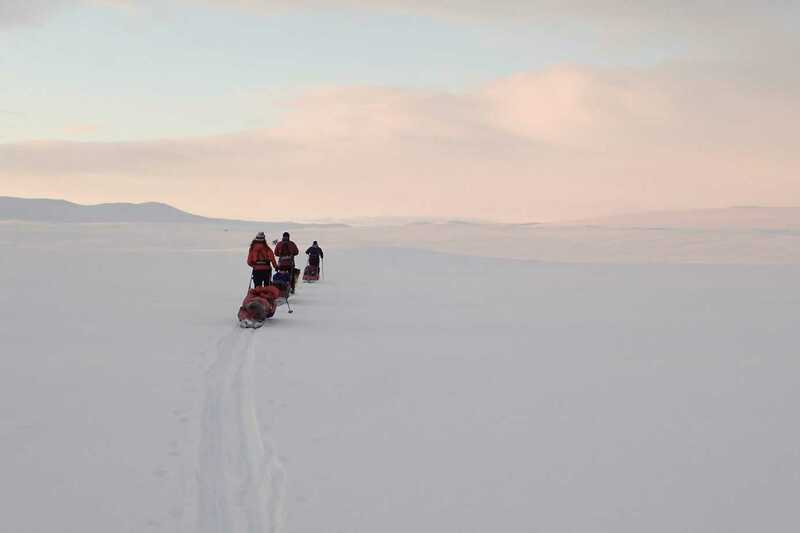 Like all Arctic expeditions, this is not a cheap trip and costs in the region of £3,500, not including gear hire! But this really is quite a unique experience. If you enjoyed reading this blog, take a minute to follow me on Instagram, Twitter and Facebook to up-to-date adventure photos and videos. Well done Bex, This trip looks crazy! I’m happy you are all back safe and had a good time resting towards the end of the trip!